The leak performance of the gasket is dependent on the stress on the gasket during operation. Each different type of gasket has its own inherent leak-tightness capabilities. The higher the gasket stress, the higher the leak-tightness capability. 1. Compressibility — Gaskets that have sufficient compressibility to suit the style and surface finish of the flange, ensuring that all the imperfections will be filled with the gasket material. 2. Resilience — Gaskets that have high resilience will enable the gasket to move with the dynamic loadings of the flange to maintain its seating stress. 3. 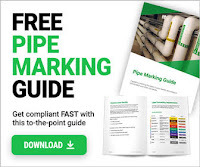 No change in thickness — Gaskets that will not continue to deform under varying load cycles of temperature and pressure or under a constant load at elevated temperatures (creep). Unfortunately, most gaskets available on the market are not ideal gaskets. Most gaskets usually just have one or sometimes two of the above properties. For critical applications, designers are always on the lookout for gaskets that have all three properties. The most difficult, often critical, property required of a gasket is its ability to resist creep during operation. In high-temperature services, the flanges will heat up at a faster rate than the bolts and under steady-state conditions will continue to be hotter than the bolts as a result of the thermal gradient. 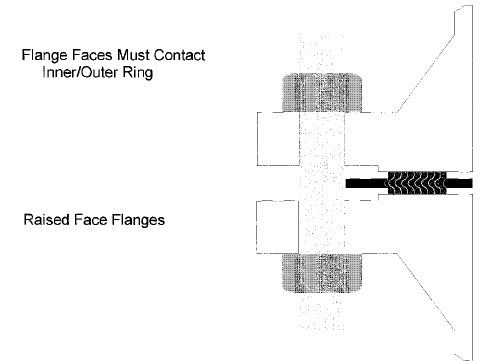 This results in a higher thermal expansion of the flanges with respect to the bolts, increasing the boat load and concurrently the gasket stress. The gasket will then deform under the higher applied load during this cycle. Most gaskets will deform permanently and will not rebound when the load cycle goes away with varying conditions. The permanent set or plastic deformation that occurred during operation will cause loss of bolt load and concurrently loss of gasket stress. As gasket stress decreases leak rate increases.